I chopped the basil and ground it a bit with a mortar and pestle to bring out the flavor. 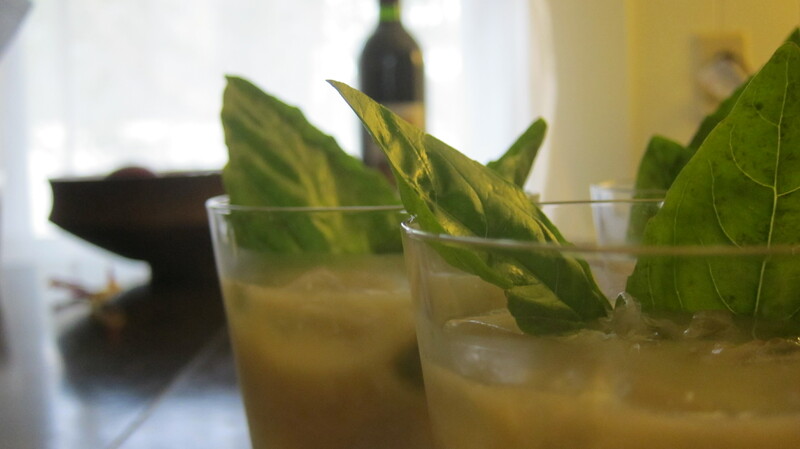 I mixed it all in a shaker and added some basil for garnish. 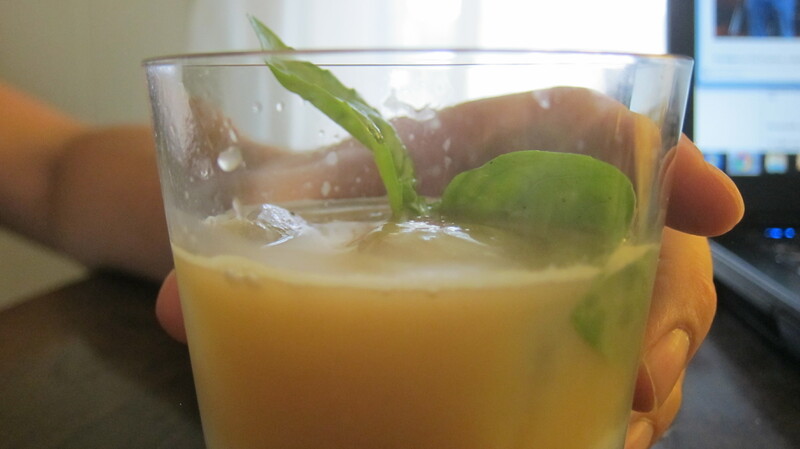 I really liked it – I think I added a bit too much lemon, as it was a bit tart, but the flavor was great and it was a refreshing drink on a hot day. 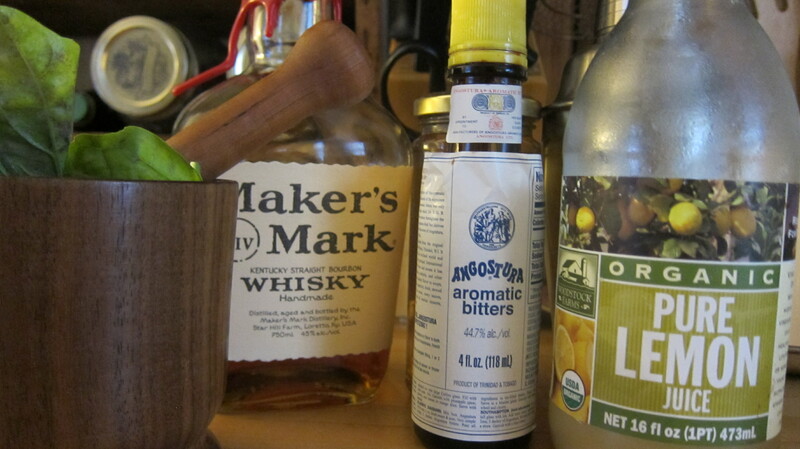 I’m very interested in exploring different herbal cocktail combinations – what have you made lately? 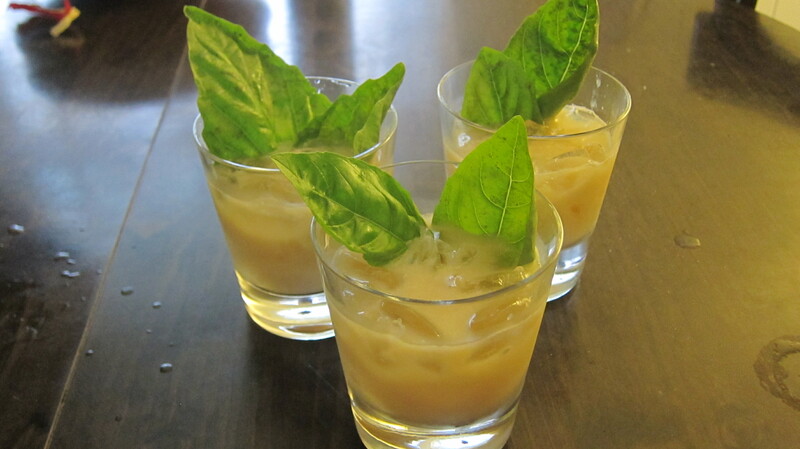 This entry was posted in Food & Cooking and tagged basil whiskey sour, herbal cocktails. Bookmark the permalink.